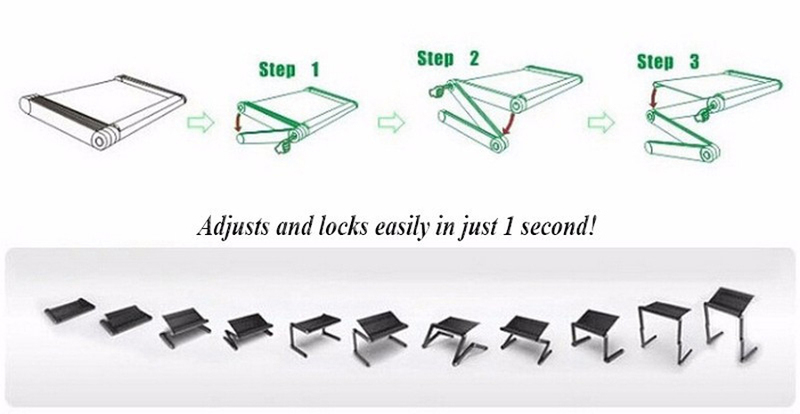 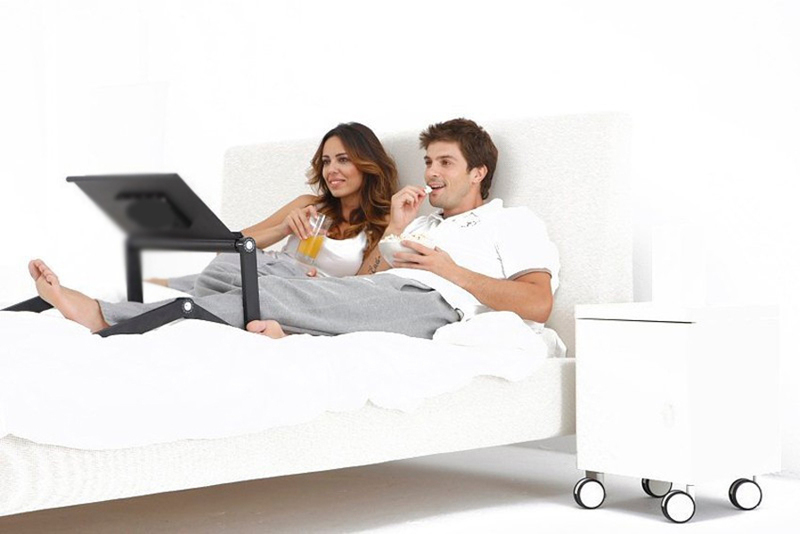 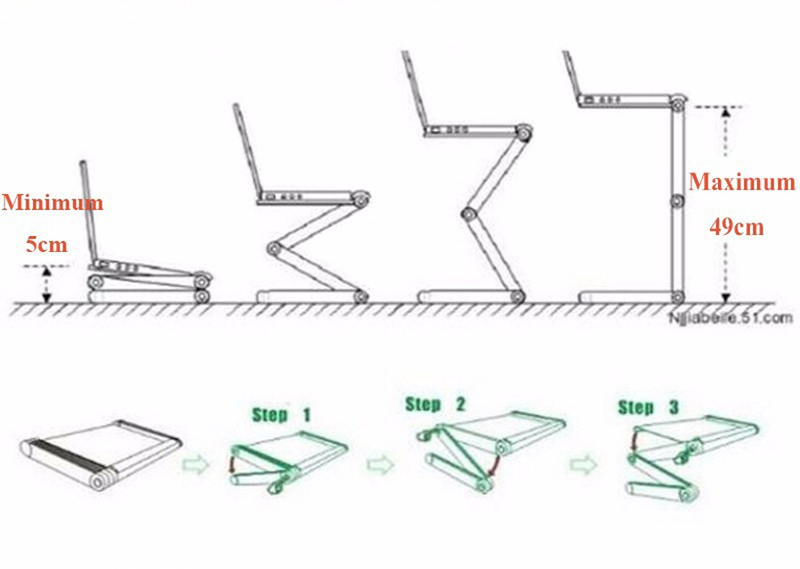 1.This is a magic laptop desk.360° foldable ,you can use it to Enjoy the fun of the Internet in bed, sofa, table, carpet, lawn. 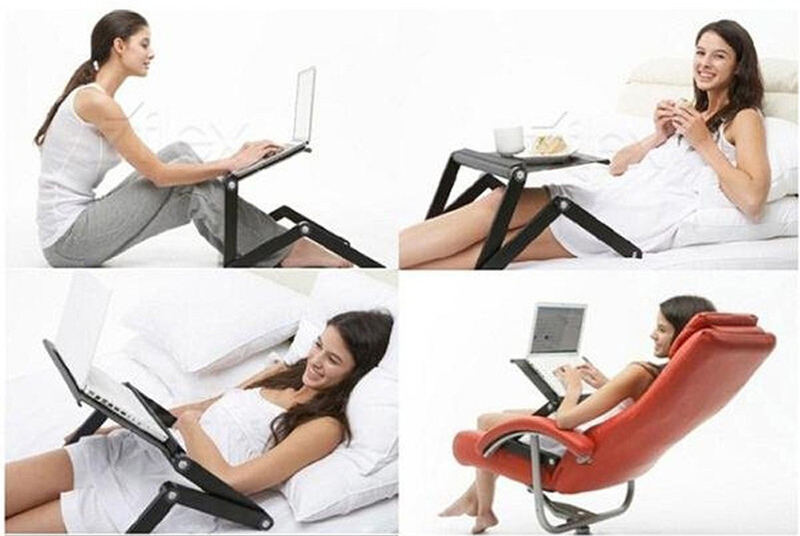 You can used as laptop desk, writing desk, Sketchpad, dinning table, Flower Stand, etc. 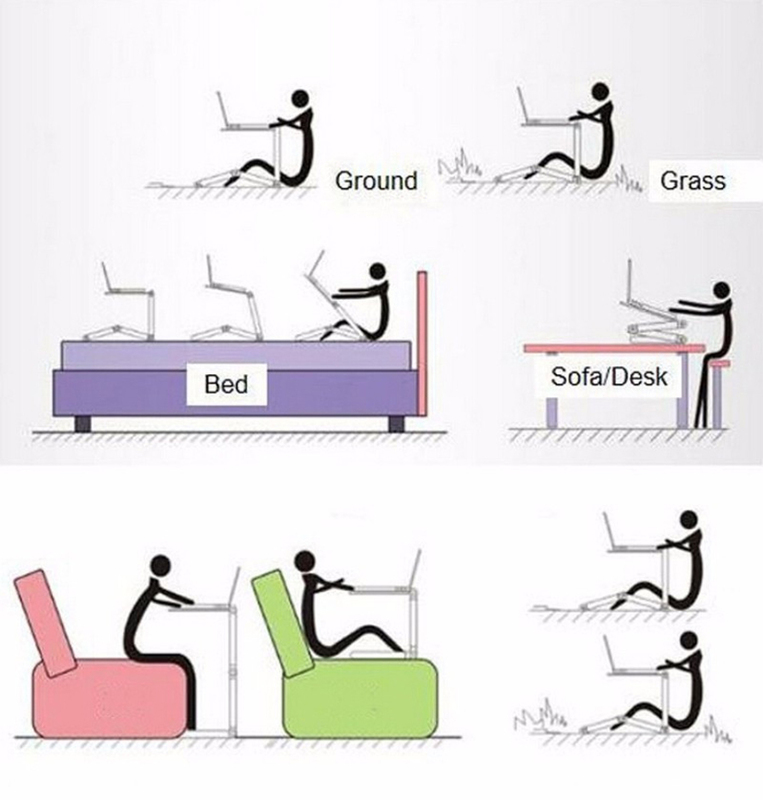 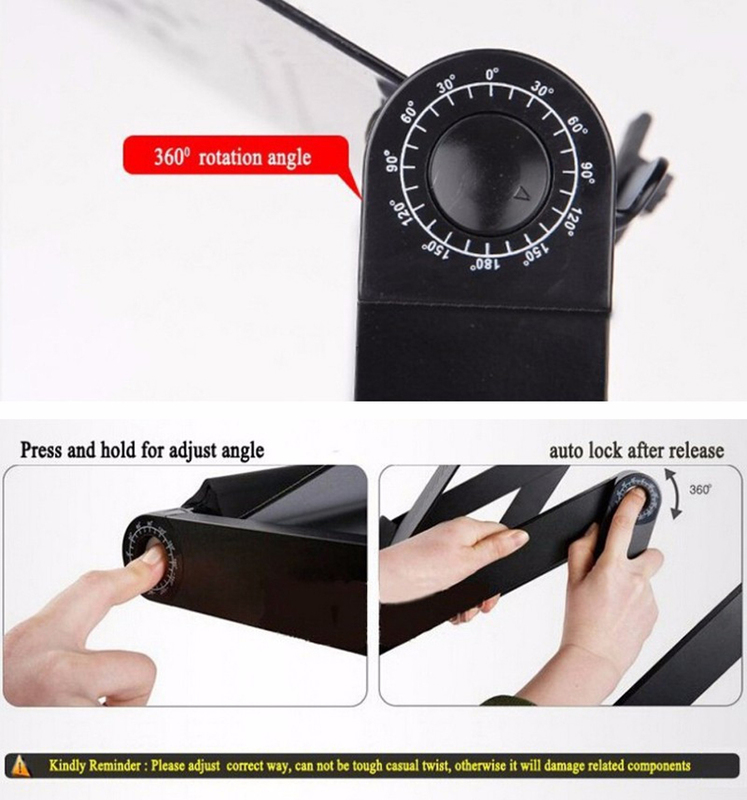 As soon as you adjust the knob in the leg of the desk to different height and angle you need.